The Jacare-Tinga Amazon cruise operates out of Manaus, Brazil (Manaus Eduardo Gomes International Airport). If you need any help booking these flights, we work closely with South American flight specialists Exito Travel, who can coordinate domestic and international flights to seamlessly tie in with your cruise itinerary. The Manaus Eduardo Gomes International Airport is located 15 km from the city centre. There are direct flights into Manaus, via Miami, Panama City, Rio de Janeiro and Sao Paulo. If you are flying from elsewhere in North America, you will either have to connect in Miami to Manaus, or fly directly into Sao Paulo or Rio de Janeiro and connect to a domestic flight to Manaus. Direct Flights to Manaus from Miami: American Airlines, US Airways, and TAM Brazil. The duration of this flight is 5 hours and 20 minutes. Direct Flights to Manaus from Rio and Sao Paulo: GOL, Azul and TAM Brazil airlines. From Rio, there is approximately 1 flight per day. The duration of the flight is 4 hours and 10 minutes. From Sao Paulo, there are 5+ flights a day to Manaus. The duration of the flight is 4 hours. Direct Flights to Rio and Sao Paulo from North America: American Airlines, Air Canada, Continental, Delta and United Airlines that fly from Atlanta, Chicago, Dallas, Houston, LA, Miami, Newark, New York, Orlando, Washington, and Toronto. 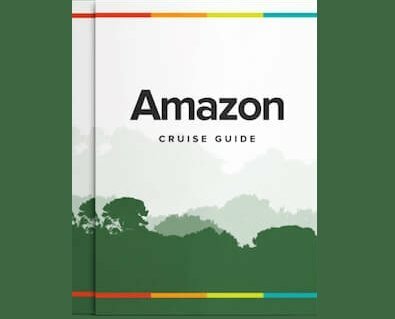 If you are traveling from Europe, Asia or Australia, please see our How to Get to Manaus Guide. It is important to note that the recommended flights to Manaus often vary by individual departure, so please check first with your Travel Specialist before booking the flights specific to your cruise date. Transfers to and from the Manaus Eduardo Gomes International Airport to the Jacare-Tinga Amazon cruise are included on some itineraries. Please check with your Travel Specialist. Please note that a pre-arranged visa is required by holders of US, Canadian and Australian passports, in order to enter Brazil. Contact Us for more information.